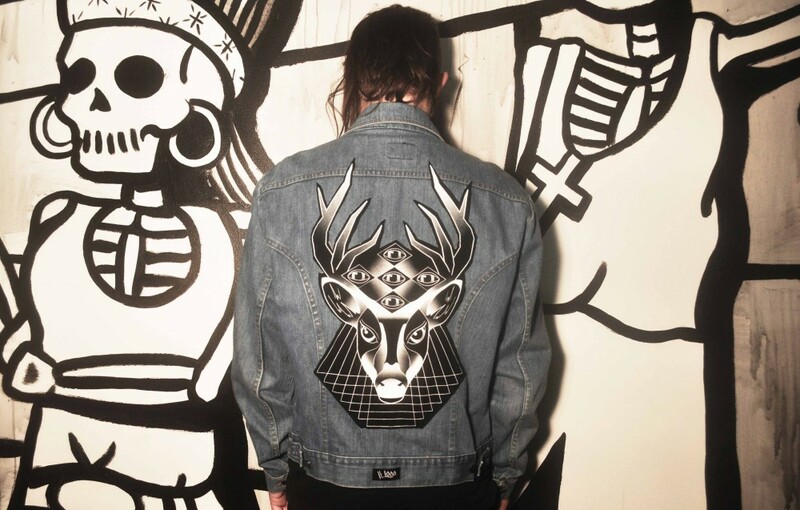 K Loco Custom Vintage Denim Jacket with Mayan Deer Patch. The Geometric Deer Patch is a K Loco design inspired by Mayan art and symbolism, double lined and stitched onto the jacket. Hand picked vintage from North America.